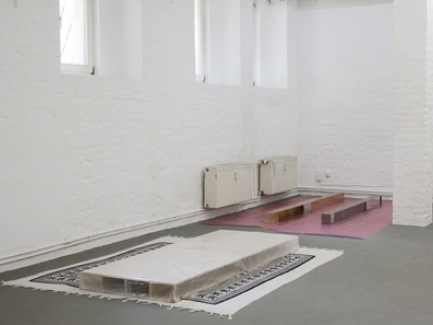 Supportico Lopez was born in Naples in 2003 with the characteristic of being the project of two artists and a curator that decided to have a room in their flat open to public exhibitions of international artists. 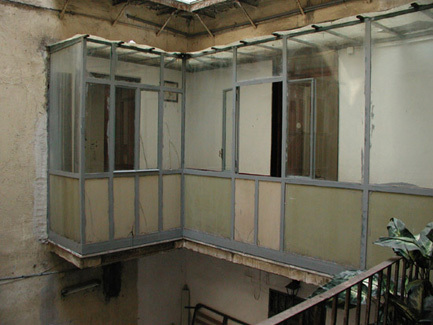 The project continued during years run by Gigiotto Del Vecchio -one of the founder- and Stefania Palumbo as a curatorial space for contemporary art diffusion, taking its name from the street in which it was located in Naples, in one of the oldest and most characteristic districts of the city and one of the most contradictory: la Sanità . In 2008 Supportico Lopez decided to start a new life again, moving away to Berlin. Here, in the new space in Graefestrasse 9 in Kreuzberg, the aim is to be a gallery in which the curatorial attitude of the two directors will be more and more a peculiarity.